Good to know I'm not the only one mistreated by Humberto. It seems that humor is proportional to the economic state of the system. Here we are heading to the same destination, ultra-nationalism, religious fundamentalism, indifference to social causes. Pray for a Humberto born and chance the thinks. 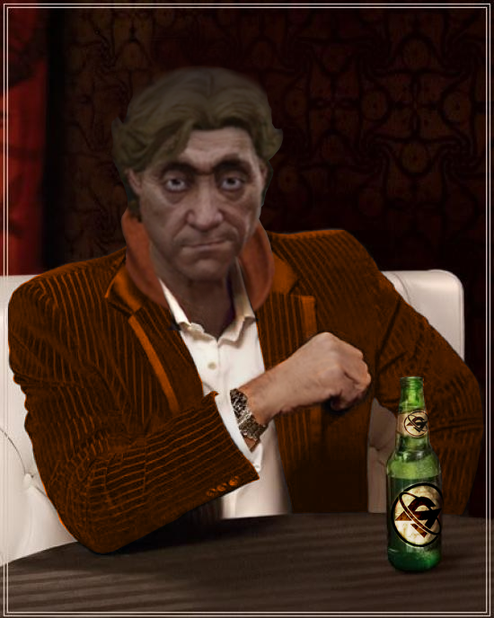 Humberto is looking hale & hearty since 2.2 dropped! Just met the glorious one, took a rich, demanding passenger on a round trip from teppanik to the sirius navy and somewhere else i forget. they were crammed into an economic cabin aboard my lowly but dedicated C mkIV i had to ignored their pleas for domestic appliances to make their trip more comfortable, they barely offered another 1k for the inconvenience so i flew on. Scanning unknown stars as I went, had a little navigational bump during the second leg but persevered. took a short rest for some refreshments then wandered on not stopping for anything refueling at every other star. Eventually on my return the passenger couldn't have been too disgruntled they gave me nearly 300k for the experience. I decided to return to San and check in, offloading the exploration data another cool quarter of a mil on the board and it must have been impressive as Humberto himself thanked me for my services as my reputation hit the Ally mark. Not a bad mornings work. But may plan ahead when I pick up another passenger mission again of multiple stops. In that picture he sort of looks like a kid who got a bad Christmas sweater but is wearing it anyways to please grandma. Would it kill him to smile? 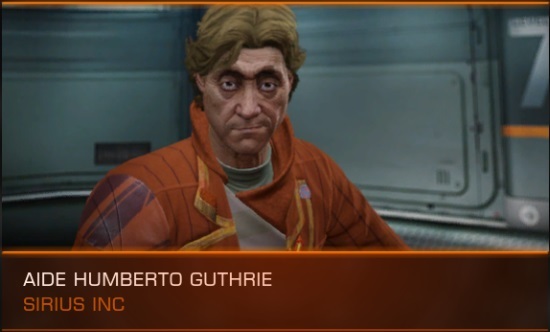 Humberto Guthrie is... The Most Interesting Aide!